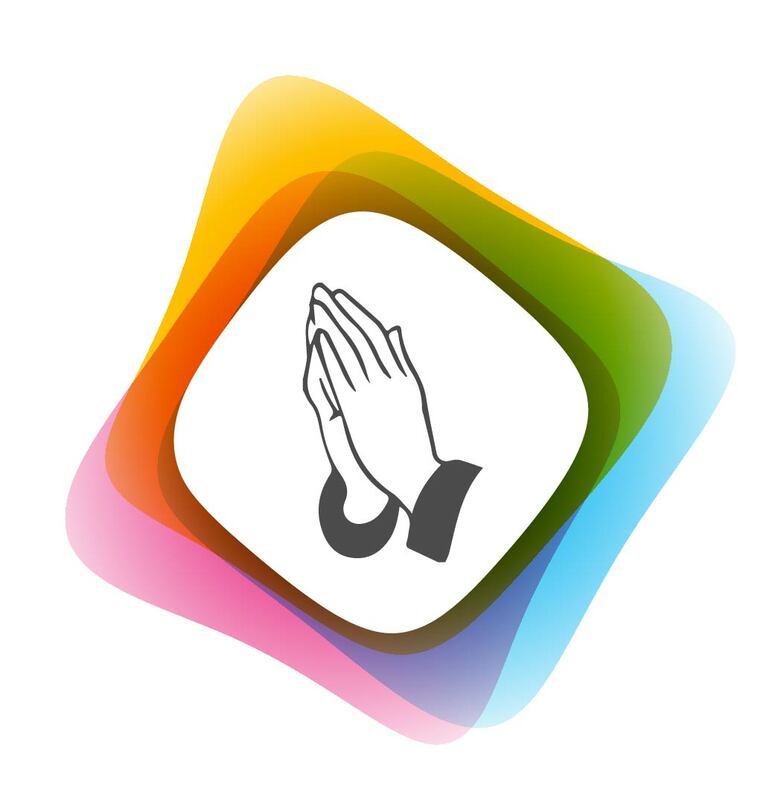 Last month we posted about starting Spiritual Venture - Sai Baba's Handi - Annadaan Seva. In today's post kindly go through how this venture has been executed and how it has been immensely blessed by Lord Sai Baba. 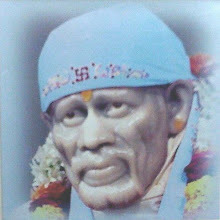 2018 is special year because of 100th year of MahaSamadhi of SaiBaba. Devotees all over the world are paying tributes in various ways. Sai Baba has blessed us by making us instruments in Annadanam Seva. Many devotees has felt the presence of Baba while performing this Seva. Sai devotee in Rajasthan India donated and served food (Dal, Chapati, Sweet dish/fruit) in for 150 people on 4 occasions e.g. Ekadashi and Thursday July 5th on name of Sai Baba and on punyathithi of great devotee Shri KakaSaheb dixit ji. Sai devotee from California, US prepared Karchya (One of Baba’ favorite Brinjal dish as mentioned in Shri Sai Satcharitra), Paneer and Chapati and served in Sai temple to 25+ people. Sai devotee from Dallas US, prepared food for Sai Temple Dallas and served 15 people. Similarly other Sai devotee served rice to 50+ persons. 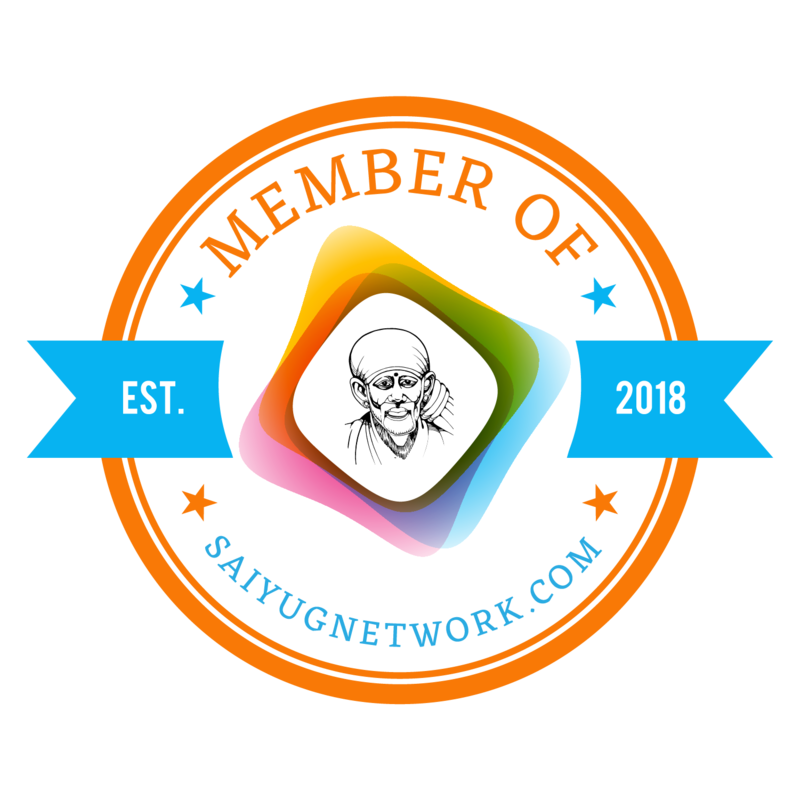 Sai Devotees in India and US distributed fruits e.g. bananas and mangoes. One Sai Devotee Cooked, packed and distributed tendli masala bhaat and banana sassam (a sweet dish / dessert) to 4 persons in India. Sai Devotee served bun butter jam to 4 persons. Many birds (Pigeons, Crows, Sparrows, Ducks) were served grains, rice and water over a month. Many Devotees individually feed 10-20 birds daily multiple times and regularly. 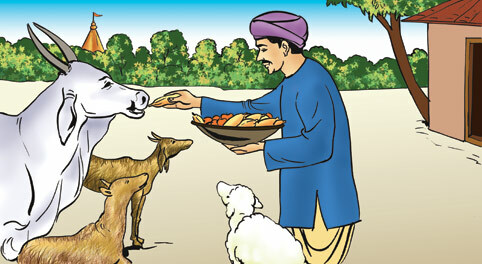 Similarly Cows, Dogs, Squirrels, Buffalos were served with food, grains, biscuits and water. 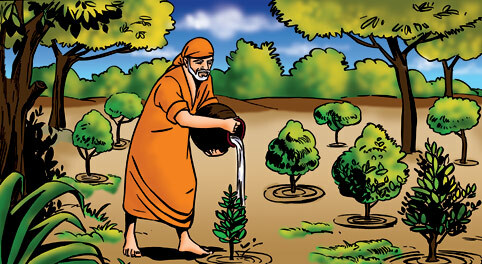 Many devotees daily watered plants at home and nearby surroundings. Om Sai Ram everyone. 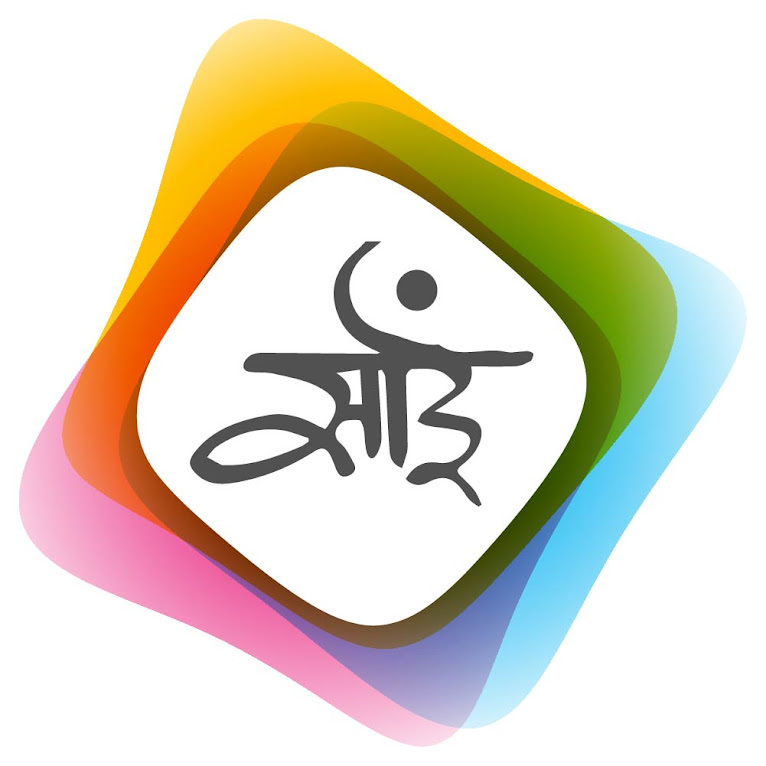 Thanks to the people behind this group and Special thanks to Sai Baba for encouraging us to do this seva. I don't know whether this experience is worth sharing or not but I have decided to post it and let Baba decide whether it should be shared with everyone or not. 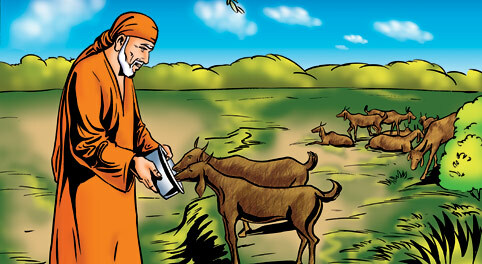 After I started reading Sai Satcharitra I used to feed animals whenever I see on my doorstep but after joining Annadaan Seva I decided to serve at least one person or animal in a day and for that I used to search on my street whenever I get time as it is not possible for me to go out (I always stay at home). Generally, in the evening or night I could easily find some dog or buffalo on the street but on 18th June 2018, I could not find any animal on road. 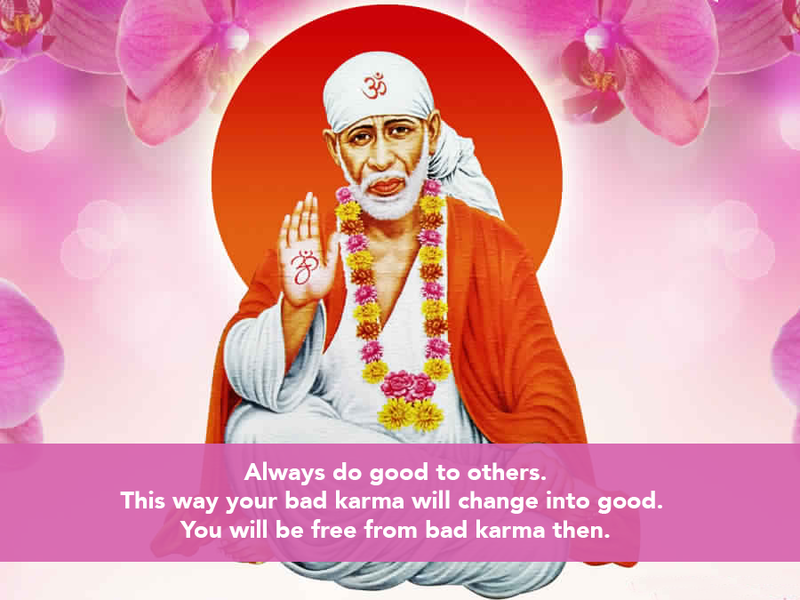 I was little upset as I did not want to break this regularity and for a second I prayed baba that I have joined Annadaan Seva group but I could not feed anyone today and you know I cannot go out. I forgot about this thing and then after few minutes, I saw a dog very near to my doorstep. I quickly ran and brought chapati and poori from the kitchen. I first gave poori which it ate quickly and then I gave chapati which it did not eat. So I thought may be it wants only poori. Again I went to the kitchen but there were only 5 poori and I was only left for dinner. Usually, I eat 2 poori but that day I decided to eat 3-4 as they were small in size. So I decided to give one (which would be largest) to the dog but then I remembered Baba's teaching that first we should give food to the hungry. So I took two and went out. The dog was still there as it was waiting for me. I gave him those two pooris and quickly came inside thinking it will finish soon and will hope for more (this was bit selfish I know). When I came inside I thought may be Baba has come in that form or it may be Baba's agent as I have never seen that dog in my street (Yes I can recognise almost all dogs that come to my street). So again I went out and tried to search but I could not find that dog I felt very bad that why I did not gave it all those 5 pooris as I could have eaten something else but I was bit happy too that atleast I gave him 2 pooris. Generally we do not prepare poori but it was like special food for us on that day and while preparing I have prayed Baba that please come to have Poori. Till now I could not find that dog again in my street I am sure it was Baba's leela but do not know whether I passed or failed in His test. Sai Devotee [line] Clearly Baba’s ways are unique to motivate devotees for the seva. 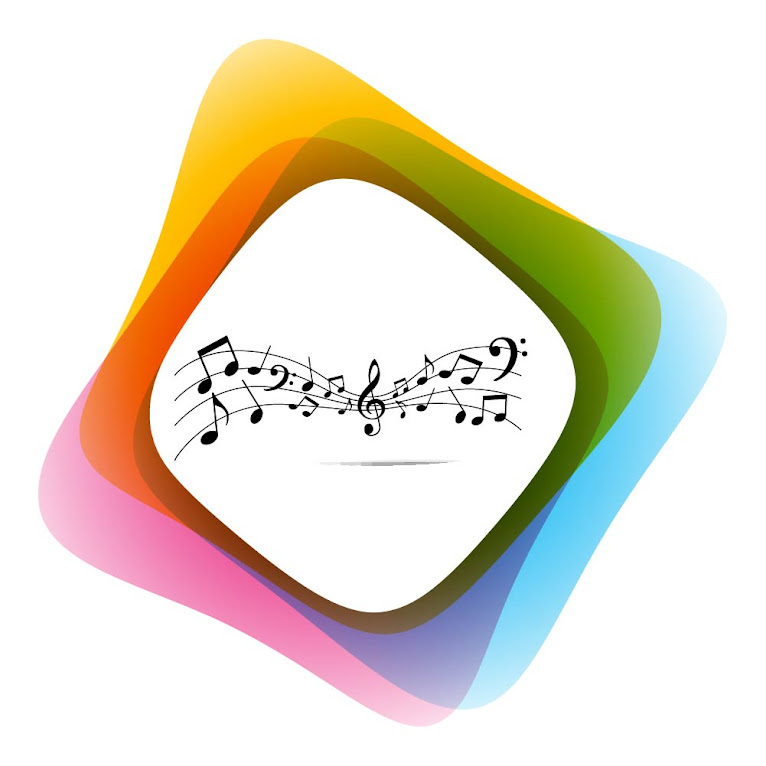 We all are blessed to get this opportunity.